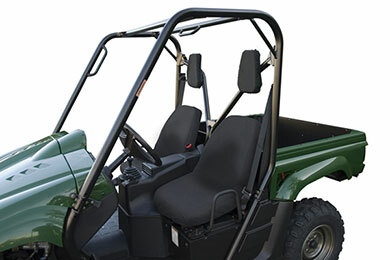 Read 7 customer reviews about ATV & UTV Seat Covers that have an average rating of 4.5 to find out what product is best for your vehicle. My Rhino and me have had many hunting trips and mud riding adventures. In the 5 years of fun I had put significant wear on the seats. I needed to do somthing. I found the solution when I purchased these seat covers. They are made of quality material, I like the camo pattern and color. They were instslled without any problem. It took longer the attach the seat back to the Rhino then instal the seat covers. For the price you want find any better seat covers. Reference # 766-181-529 © 2000-2019 AutoAnything, Inc.